These All American Hash Brown Egg Cups are a dream of a breakfast. They make healthy meal prep a breeze, packing in shredded potatoes, breakfast sausage, cheese, and eggs! Life is easier when you have easy and healthy meals planned out for your week! It’s August which means we have one more month summer shinanigains (sad face). Not to say that people don’t extend summer trips and weather into September, but when the kids go back to school and post-labor day, people tend do get back to the grind. There aren’t as many grill outs, cabin weekends, and brewery runs. Fall means it’s time for meal-prep! These all American hash brown egg cups were born out of our love for All American Breakfast meals. What does that even mean, you ask? Eggs, hash browns, and sausage, preferably with a side of toast. 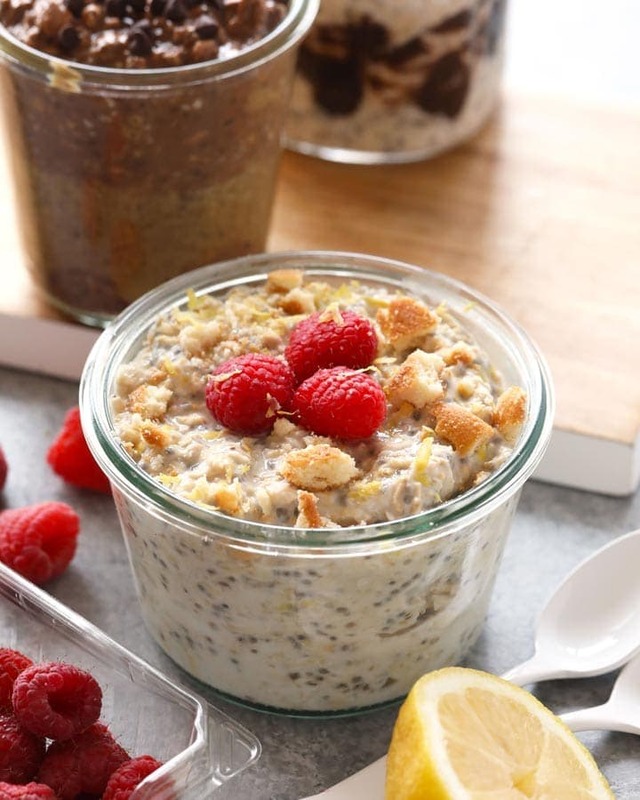 Whether we are at home in the kitchen or out to eat, the three of us love a classic healthy breakfast. 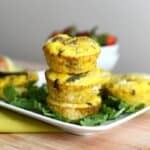 Sometimes we don’t have time to whip up a delicious full breakfast, so why not have these All American Hash Brown Egg Cups ready to heat up in the freezer or fridge? 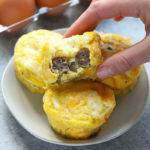 All you have to do is grate your favorite potato, chop up your favorite sausage, pick out your favorite cheese, throw it into a muffin tin and pour your egg mixture over it. It is an absolute no-brainer. 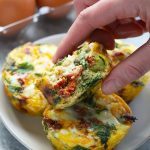 We love these egg muffin cups because they are easy to make, healthy, and you can add whatever you want into them! Feel free to add an extra veggie or a grain. 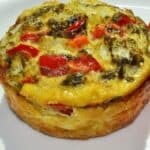 Make this egg cup recipe your own! DO IT NOW! 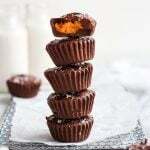 Preheat oven to 350°F and spray a 12-cup, nonstick muffin tin with cooking spray. Peel 2 medium red potatoes and then shred with a cheese grater. Place shredded potato on top of a thin rag, cheesecloth, or paper towel and squeeze out as much excess moisture as possible. Place into a small bowl and season with garlic powder, salt, and pepper. Then, spread evenly among the 12 cups. Chop 12 fully-cooked breakfast sausage links and then add to the top of shredded potatoes. In a medium bowl, whisk together eggs and milk. Then, pour egg mixture evenly on top of veggies in order to fill each cup around 3/4 of the way full. Use a fork or knife to mix in order to make sure the veggies are evenly distributed within the egg. Season the top of each egg cup with salt and pepper, to taste, and then sprinkle on cheese. Bake at 350°F for around 18-22 minutes.